The air ambulance was called. The Great North Air Ambulance has been called to an incident on a roundabout just off the M1. 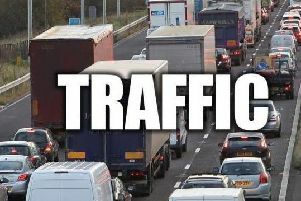 A number of emergency service crews are currently at the scene at junction 44 of the M1 at Rothwell. Delays are expected in the area. Highways England tweeted to warn motorists of the incident, saying: "Delays expected on the roundabout at J44 #Rothwell due to @WYP_RPU @YorksAmbulance @GNairambulance #TrafficOfficers all on scene dealing with the incident. "Please plan your journeys and we will keep you updated, thank you for your patience."